Find products for The Computer Revolution of the Year 1985. Whether you grew up during this time, owned an Atari ST/TT/STE/Falcon or a Atari video console or you are just interested in what happened in this playful computer era, here you find something. New products will be added from time to time, be sure to swing by once a month. The Atari ST Anthology is available as English hardback book only, but you also can download a German version to your e-book reader – if you prefer digital reading. 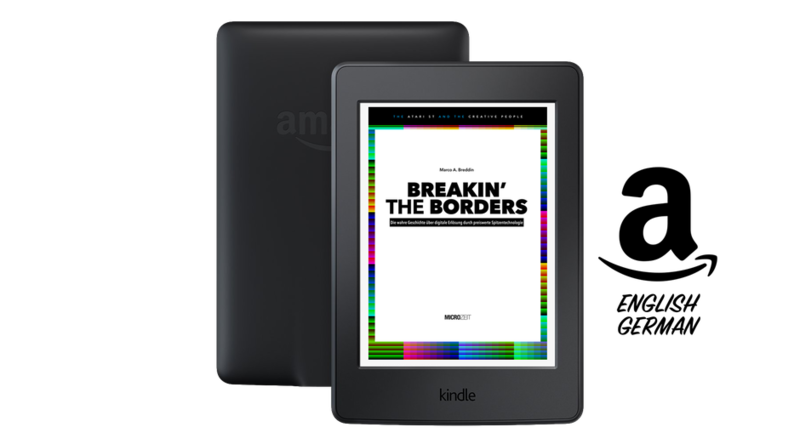 E-books are available in two languages for the AMAZON KINDLE on your national platform (see at the bottom of this page). More languages are inquired and partly in progress.